When people think of the deadliest diseases in the world, their minds probably jump to the fast acting, incurable ones that grab headlines from time to time. But in fact, many of these types of diseases don’t rank in the top 10 causes of worldwide deaths. An estimated 56.4 million people passed away worldwide in 2015, and 68 percent of them were due to diseases that progressed slowly. Perhaps even more surprising is that several of the deadliest diseases are partially preventable. Non preventable factors include where a person lives, access to preventive care, and quality of healthcare. These all factor into risk. But there are still steps everyone can take to lower their risk. 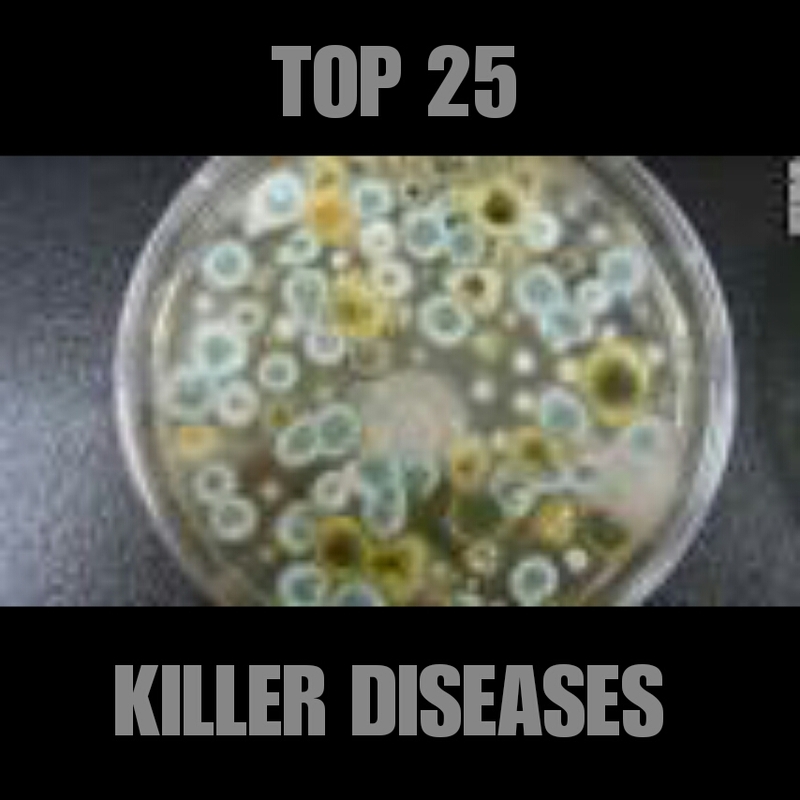 Check out this 25 deadly diseases that have claimed the lives of millions over the centuries. The most dangerous virus is the Marburg virus. It is named after a small and idyllic town on the river Lahn but that has nothing to do with the disease itself. The Marburg virus is a hemorrhagic fever virus. As with Ebola, the Marburg virus causes convulsions and bleeding of mucous membranes, skin and organs. It has a fatality rate of 90 percent. Ebola virus is a deadly virus which causes the Ebola Virus Disease which was formerly called as Zaire Ebola virus. The virus was first discovered near a river by name Ebola in Zaire in 1976 . Ebola Virus Disease was previously known as Ebola hemorrhagic fever which is a severe and fatal illness among human beings. The virus has a high human mortality rate of 90% and some Sudan variant has 53% mortality rate. The initial symptoms of the virus are similar to the common viral influenza with sore throat, fever, muscle pain and headache. The next stage symptoms could be vomiting, diarrhea, blood in stool, rashes, and kidney and liver impairments. If the patient is not treated early on could be deadly and life threatening. There are five strains of the Ebola virus, each named after countries and regions in Africa: Zaire, Sudan, Tai Forest, Bundibugyo and Reston. The Zaire Ebola virus is the deadliest, with a mortality rate of 90 percent. It is the strain currently spreading through Guinea, Sierra Leone and Liberia, and beyond. Scientists say flying foxes probably brought the Zaire Ebola virus into cities. The Hantavirus describes several types of viruses. It is named after a river where American soldiers were first thought to have been infected with the Hantavirus, during the Korean War in 1950. Symptoms include lung disease, fever and kidney failure. The various strains of bird flu regularly cause panic which is perhaps justified because the mortality rate is 70 percent. But in fact the risk of contracting the H5N1 strain one of the best known is quite low. You can only be infected through direct contact with poultry. It is said this explains why most cases appear in Asia, where people often live close to chickens. A nurse in Nigeria was the first person to be infected with the Lassa virus. The virus is transmitted by rodents. Casey can be endemic which means the virus occurs in a specific region, such as in western Africa, and can reoccur there at any time. Scientists assume that 15 percent of rodents in western Africa carry the virus. The Junin virus is associated with Argentine hemorrhagic fever. People infected with the virus suffer from tissue inflammation, sepsis and skin bleeding. The problem is that the symptoms can appear to be so common that the disease is rarely detected or identified in the first instance. The Crimea-Congo fever virus is transmitted by ticks. It is similar to the Ebola and Marburg viruses in the way it progresses. During the first days of infection, sufferers present with pin-sized bleedings in the face, mouth and the pharynx. The Machupo virus is associated with Bolivian hemorrhagic fever, also known as black typhus. The infection causes high fever, accompanied by heavy bleedings. It progresses similar to the Junin virus. The virus can be transmitted from human to human, and rodents often the carry it. Scientists discovered the Kyasanur Forest Virus (KFD) virus in woodlands on the southwestern coast of India in 1955. It is transmitted by ticks, but scientists say it is difficult to determine any carriers. It is assumed that rats, birds and boars could be hosts. People infected with the virus suffer from high fever, strong headaches and muscle pain which can cause bleedings. Dengue fever is a constant threat. If you're planning a holiday in the tropics, get informed about dengue. Transmitted by mosquitoes, dengue affects between 50 and 100 million people a year in popular holiday destinations such as Thailand and India. But it's more of a problem for the 2 billion people who live in areas that are threatened by dengue fever. It is is fatal in about 50% of people who suffer from it. In about 10 to 15 per cent of those affected they can end up suffering severe neurological defects including cognitive problems, severe headaches and depression. The symptoms of meningitis are similar to the flu and can easily be mistaken for the flu. This disease has NO geographical barriers. That is, you do not have to be in a certain country to catch this disease. Meningitis is everywhere. About 10 per cent of the population carry this disease in the back of their throats and nose. Babies and infants are more prevalent to catching the disease because of their weaker immune system. The disease attacks the meninges or the lining of the brain and spinal cord and a person's responses can become significantly compromised. They may become more sensitive to light, the body aches, fever, stiff neck, the energy level is compromised and there MAYBE a purple rash, however that does NOT always appear. Meningitis Centre Australia recommends don't wait for the rash to occur before you seek medical assistance. There is a vaccine for most bacterial forms of meningitis including Meningococcal C, Pneumococcal meningitis, HiB, Meningococcal B and A, W135 and Y. They are available on the National Immunisation Plan free of charge for Australian citizens except for the Men B vaccine and the A C W135 Y which needs to be paid for out of pocket. Meningitis Centre Australia has a petition to lobby the Federal Government to get the Men B vaccine ( the most common form of meningitis) on the Immunisation Plan. This bug can quickly sweep through the body eating the body's soft tissue. It is usually caused by more than one type of bacteria with Streptococcus (group A strep) the most common bacteria. The bacteria attacks the connective tissue surrounding the muscles, nerves, fat and blood vessels causing it to die. This can lead to the loss of limbs or life. A stroke can occur when a blood vessel bursts or is blocked by a clot in the brain. It shuts off the oxygen supply causing brain damage. But these days 80 per cent of premature heart attacks and strokes are preventable. The most common symptoms of stroke is numbness to the face, arm,or leg and usually affects one side of the body. This is an intestinal disease caused by eating contaminated water or food and can kill anyone within hours. Those struck by infection suffer diarrhoea and can lead to dehydration and death if not treated urgently. This is a disease where the bacteria is resistant to many antibiotics. Also known as Methicillin-resistant Staphylococcus aureus. The symptoms of MRSA depend on where you're infected. Most often, it causes mild infections on the skin like sores or boils. But it can also cause more serious skin infections or infect surgical wounds, the bloodstream, the lungs, or the urinary tract. This virus is spread from the patient's saliva, coughs and sneezes and can be picked up from household surfaces that are contaminated with the bug. Symptoms include fever, runny nose, sneezing, cough and muscle soreness. Asthmatics are at more greater risk of catching this virus. In more serious cases it can cause wheezing and severe breathing difficulties which can cause death. Yes we know this as the "Black Plague" caused by a bite or fleas from an infected small animal like a rat. While not found in Australia, it is endemic in African countries, Russia, the Americas and throughout Asia. The symptoms are fever and chills, headaches and body aches, vomiting and nausea. Over 11,500 people have lost their lives worldwide to Ebola. This virus is transmitted through close contact with blood, secretions organs or bodily fluids from infected animals. It is common in West African countries like Guinea, Sierra Leone and Liberia. You might have heard of this disease within Australia and places like Bali. This disease is spread by an infected mosquito. Symptoms are high fever, headaches, pain behind the eyes, joint pain, muscle and bone pain and a rash or bleeding from the nose and gums. These infected mosquitoes usually live in tropical countries. there is no vaccine available for this so protection is recommended. Close window screens and doors, use repellents and wear long sleeve clothing. The AIDS also made its first appearance in Africa. When it has started to spread, anyone who caught it was already dead, for there was no cure for it back then. Today, fortunately, there are some drugs used for treatment, thanks to the advancement of medicine industry, but sadly not all countries have access to them, leaving the death rate relatively high. At this age, a lot of people are living with HIV , and since it is infectious, everyone around the patient should take the necessary precautions. 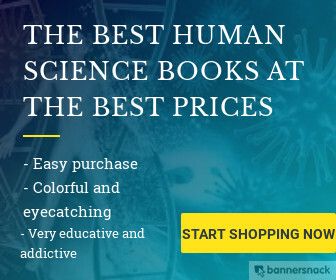 However, this virus is still one of the devastating ones, because it works on utterly destroying the immune system, leaving the victim prone to many other infections and diseases. In other words, if this virus was ever caught and left without treatment, it would result in an unpleasant sequence of diseases. Rabies is a disease as old as time, has been around for so long. This virus is caught through the bites or scratches of infected animals, especially dogs and bats. If anyone has ever fallen as a victim of these dangerous bites, they should immediately head to the nearest hospital and get treatment through vaccination, otherwise the virus, within few days, will creep into the central nervous system, disrupting it completely and immediately sending the victim to death. Some people have argued that the symptoms of this virus make it so much similar to being turned into a zombie, because the bitten person, in some cases, can become insane and perform violent acts, and this actually explains its name since Rabies means Madness in Latin. Certainly killing stray dogs is never fun, but at least now you can see the local authorities view point. As many other viruses, the Y ellow fever made its first appearance in Africa. It is considered as the big killer of all time, and it was commonly known as the black vomit. This virus is transmitted by a bite of a mosquito, considered as one of the life-threatening diseases, and although there is an effective vaccine for it, still more than 50% of its victims do not make it. The symptoms of this virus start from nausea, fever to pain in the muscles, and in extreme cases it escalates to major bleeding from mouth, nose, stomach, and even eyes. Marburg is deemed to be one of the deadliest viruses on planet, because there is no cure for it once it is caught. It is also infectious, and can be spread through contact with secretions of the body. This virus is genetically inherited, but it is so rare. The victims of it experience fever, massive internal and external bleeding and failure of multiple organs, which lead to death. Malaria is a life-threatening disease caused by parasites transmitted to people through the bites of infected female mosquitoes. Five species of parasites cause malaria in humans, with Plasmodium falciparum the deadliest and the most prevalent malaria parasite on the African continent. The virus was first discovered near a river by name Ebola in Zaire in 1976 . Ebola Virus Disease was previously known as Ebola hemorrhagic fever which is a severe and fatal illness among human beings. The virus has a high human mortality rate of 90% and some Sudan variant has 53% mortality rate. The initial symptoms of the virus are similar to the common viral influenza with sore throat, fever, muscle pain and headache. The good news is that all these diseases can't hit you once, and they are all preventable!! Did they get you scared?? After looking over a number of the articles on your web site, I seriously appreciate your way of writing a blog. I'm happy you loved it.